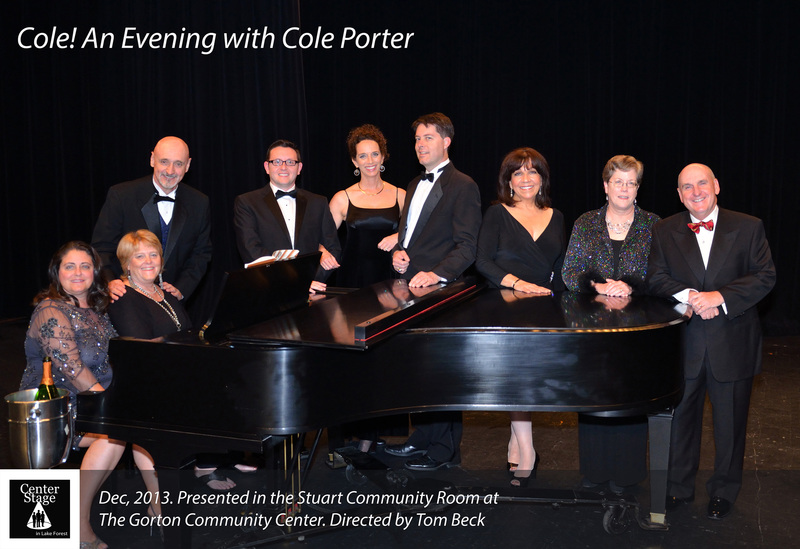 CenterStage in Lake Forest got off to a sophisticated start once again in its 43rd Season, with an evening of cabaret, Cole! 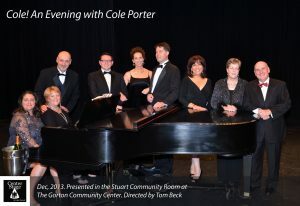 An Evening with Cole Porter. 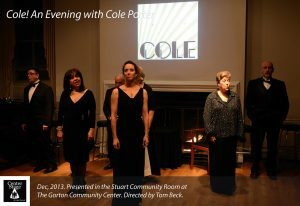 Directed by Tom Beck and featuring an all-star CenterStage cast, the performance was presented in the style of an intime 1940’s nightclub review. 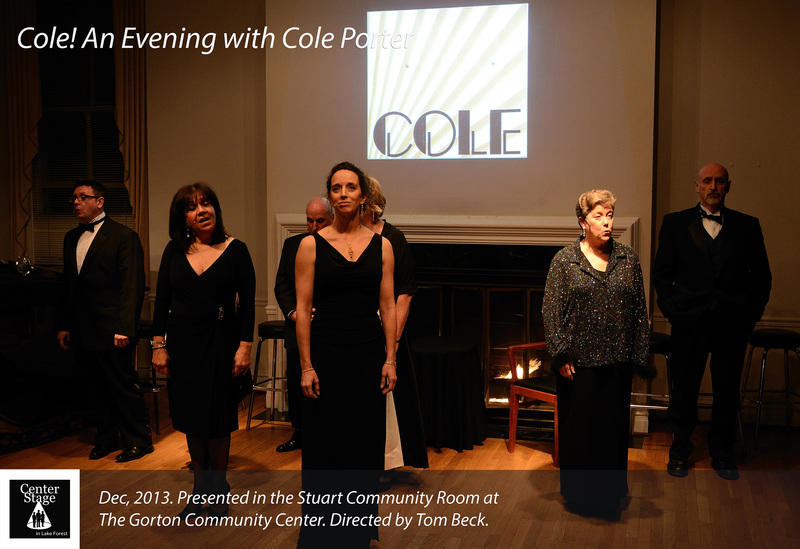 You can view the images of that night by clicking here. 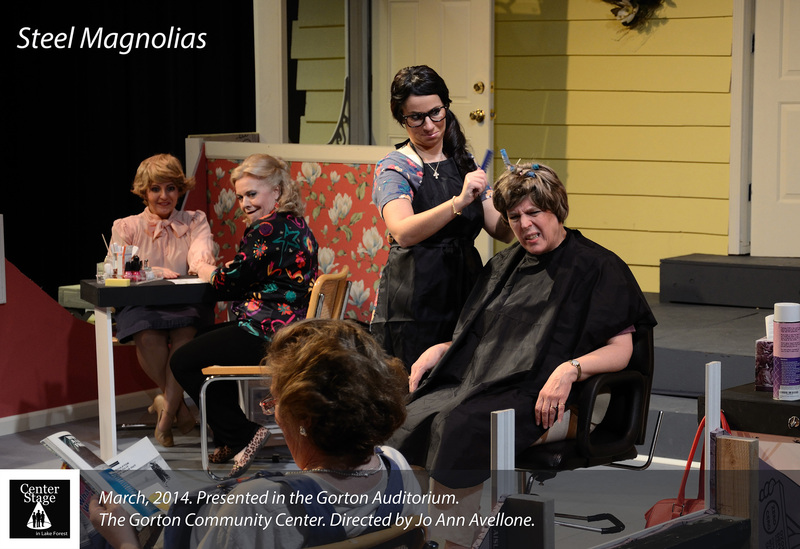 After that CenterStage went down south with Robert Harling’s relatively new great American Classic play, Steel Magnolias. 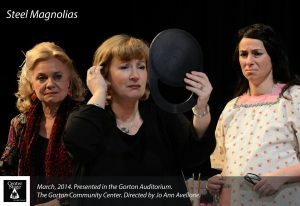 Presented onstage and in the round in the then-Gorton auditorium (pre-renovation), CenterStage audiences were thrilled by an all-female cast, directed by Jo Ann Avellone, in the heartfelt comedy-drama-tragedy. 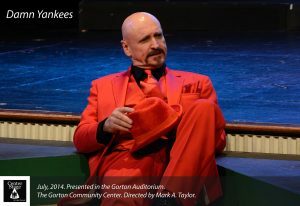 See the slideshow of the beautifully designed production (with a set by Dennis Mae) as it appeared onstage. 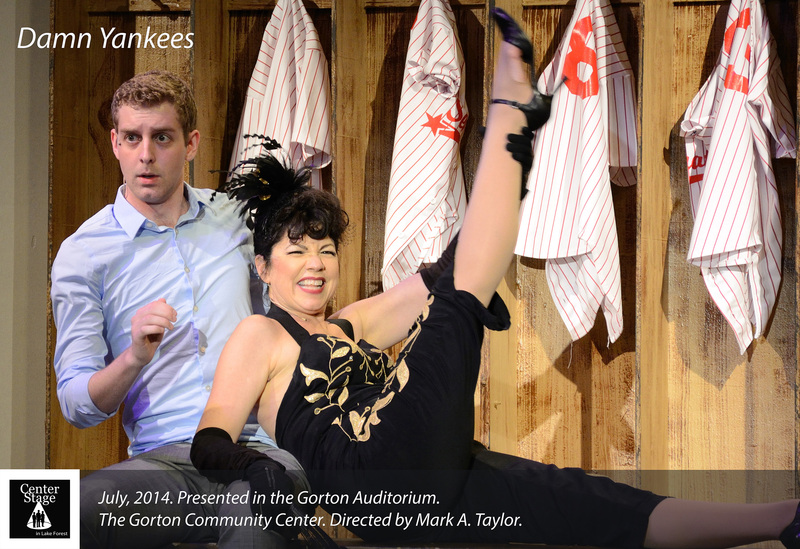 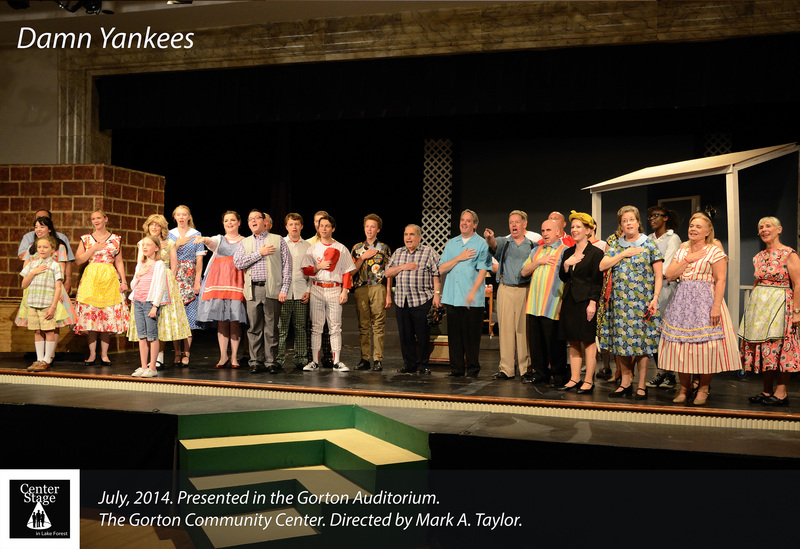 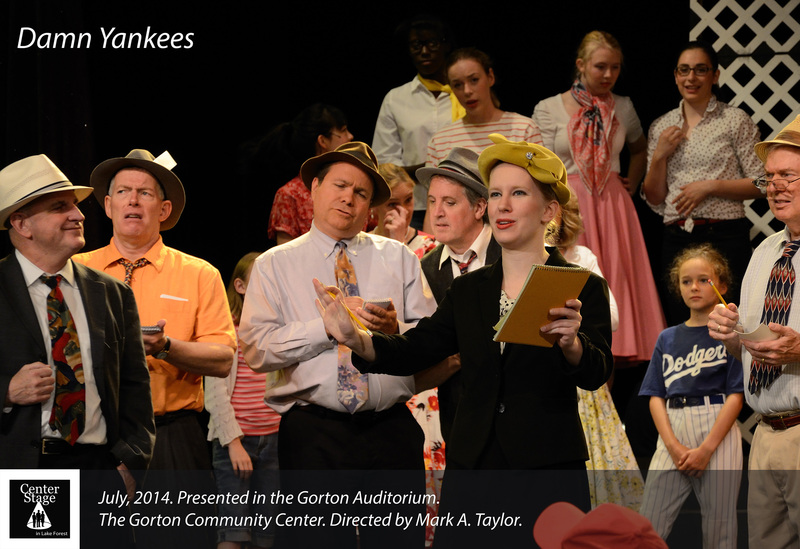 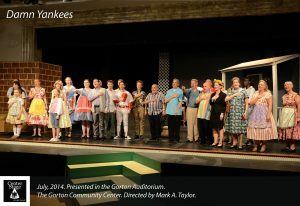 America’s favorite pastime got a special outing in the summer of 2014 with the presentation of the classic Broadway Adler-Ross musical, Damn Yankees. 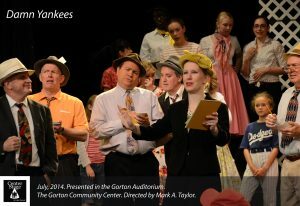 An hilarious all-American send-up of the Faust legend, Damn Yankees had a cast of close to 40 and presented such standard songs as Whatever Lola Wants, Heart, Two Lost Souls, and Who’s Got the Pain? Click here for the slideshow!